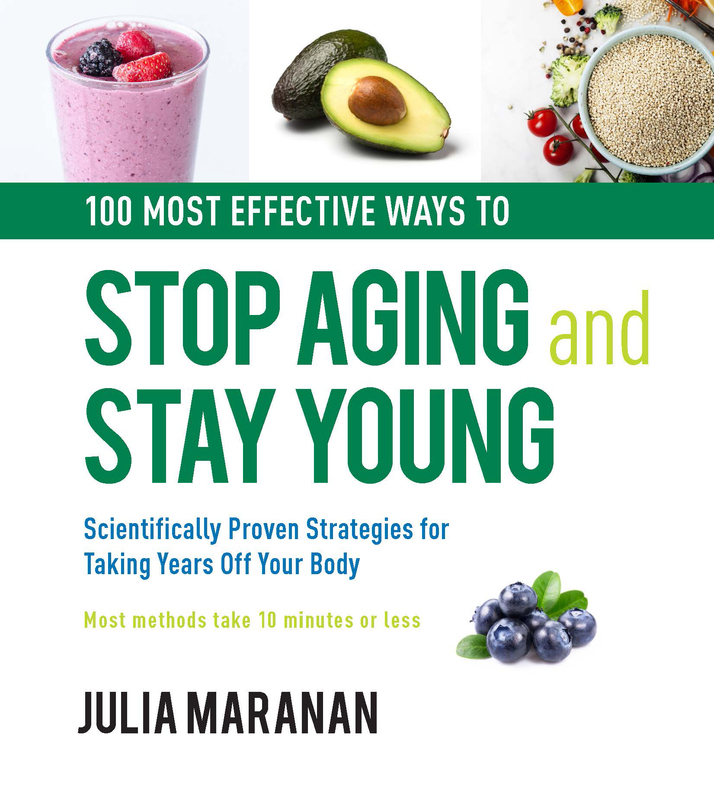 100 Most Effective Ways to Stop Aging and Stay Young is an action-oriented book of lifestyle tips addressing all aspects of aging: from wrinkles and fatigue, to keeping the brain, bones, and heart healthy and strong. 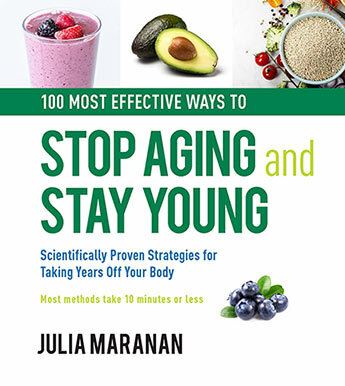 This book includes 100 simple, action-oriented nutritional, exercise, and lifestyle tips that address all aspects of aging, from wrinkles, fatigue, and slowing metabolism to strategies for keeping brain, bones, and heart healthy and strong. Most methods take 10 minutes or less. Vitamin C fights wrinkles by feeding skin's supporting structure: collagen and elastin. Thirty minutes of aerobic exercise a day boosts memory and fights dementia and Alzheimer's Disease. Meditation boosts immunity and may prevent illness. Unlike other books that have complicated plans that readers must adopt completely, this guide gives readers a buffet of nutritional, exercise, and lifestyle options from which to pick and choose to integrate into their lives. Julia Maranan is an award-winning health writer. Formerly an editor for Natural Health magazine, Julia has written hundreds of articles for publications including body + soul, Shape, Fit Pregnancy and Family Circle amongst others.